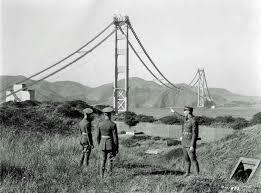 To this day the Golden Gate Bridge stands its ground as one of the most iconic landmarks of California. With as much history behind its construction as steel in its foundation, we decided a tribute piece was an absolute necessity at the Gallery. Much like the planning and construction of the bridge, the painting of this breathtaking piece went through several development phases. 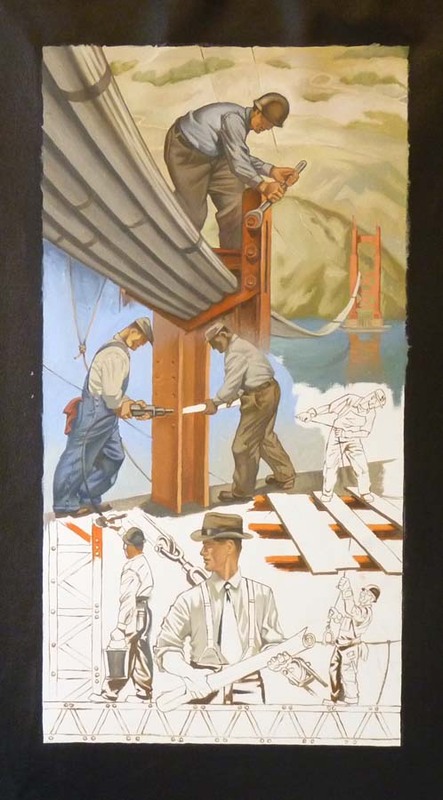 Artist, Tim Huhn began this process with a pencil drawing to study and perfect the composition of the piece. Much like the original blueprints of a construction project, these initial drawings paved the road to what later would become a study painting exploring color schemes, and finally, the finished piece in all of its glory and beauty. Early pencil drawing on tissue paper focusing on the line-work and composition of the piece. The construction of this 1.7 mile long Wonder of the Modern World was entrusted to Chicago-based engineer Joseph Strauss, who promised the grand project could be completed for $30 million. In it's early days the proposal for the construction faced many obstacles and much opposition from some communities around the area, Southern Pacific Railroad, and even The Department of War, and Navy. However, the project managed to overcome these barriers when in May of 1923 the State Legislature passed the Golden Gate Bridge and Highway District Act of California. 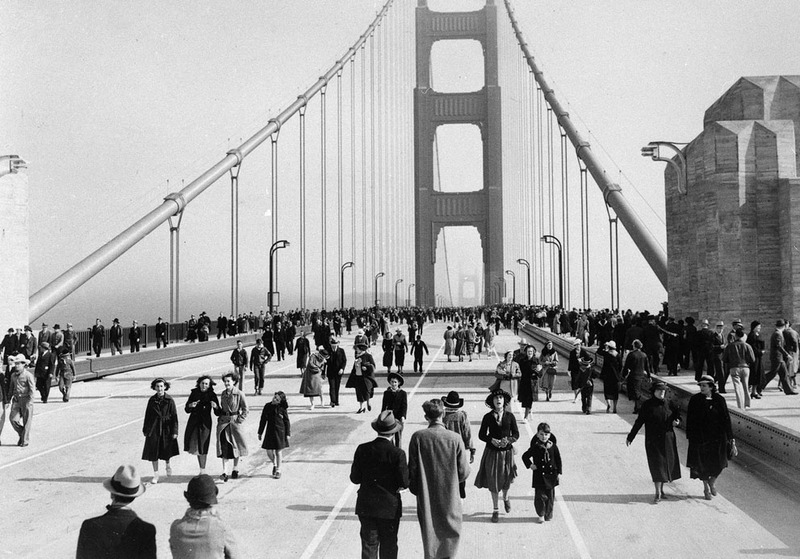 On April 19th, 1937 the roadway was finally complete. The bridge opened to pedestrians on May 27th, and to vehicles one day later on the 28th. "A Mighty Task Is Done." 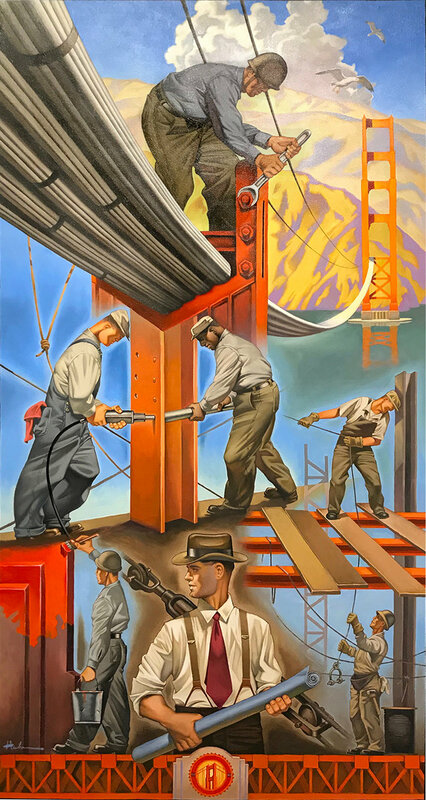 "A Mighty Task Is Done"
Today 81 years later, Tim Huhn Dedicates his own tribute painting to this majestic and timeless accomplishment of mankind titled "A Symphony In Steel." "A Symphony In Steel" Finished Oil Painting 30"x58"